The Academy Awards are known as “the biggest night in Hollywood.” The ceremony is a party full of surprises and upsets. When the winners are announced, the name in the envelope is not always who you expect it to be. Was Kevin Costner really supposed to beat Martin Scorcese for Best Director in 1993? You might not question it today, but back then it was the biggest storyline of the night! Even more shocking was when La La Land lost to Moonlight for Best Picture in 2017! These are the best, worst, and weirdest upsets in Oscar history. Do you remember who was supposed to win instead of Crash in 2006? Hurwitz quickly called the actual winner to the stage. As it happened, the awards presenters, Warren Beatty and Faye Dunaway, were given the wrong envelope when they came on stage. The win for Moonlight would have been an upset regardless, but the drama was heightened to proper Hollywood standards thanks to the mix-up. The year was 1995. Pulp Fiction was a commercial and critical hit and looked like a legitimate Best Picture contender. The Shawshank Redemption was the favorite to win the statuette, however, after securing seven nominations. 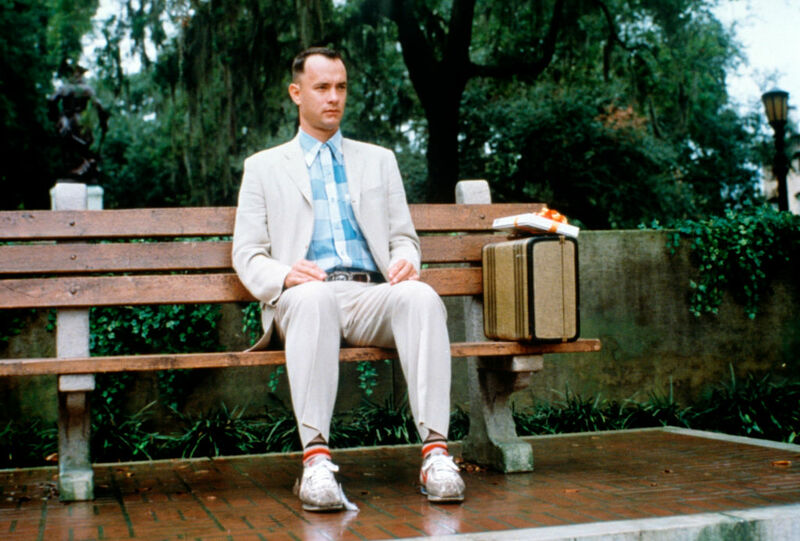 Then there was Forrest Gump; one of the biggest movies of the year, but was it really the best? The Academy thought so. Forrest Gump was nominated for 13 awards! It won six, including Best Director (Robert Zemeckis), Best Actor (Tom Hanks), Best Writing (Eric Roth), and of course Best Picture. Up next, find out how Costner stole an Oscar from Scorcese! Martin Scorcese was seen as a lock to win Best Director at the 1991 Oscars for Goodfellas. The film was a massive hit critically and commercially, and is remembered today as a gangster classic. Money talks, though, and Dances With Wolves was the third highest grossing film of the year. 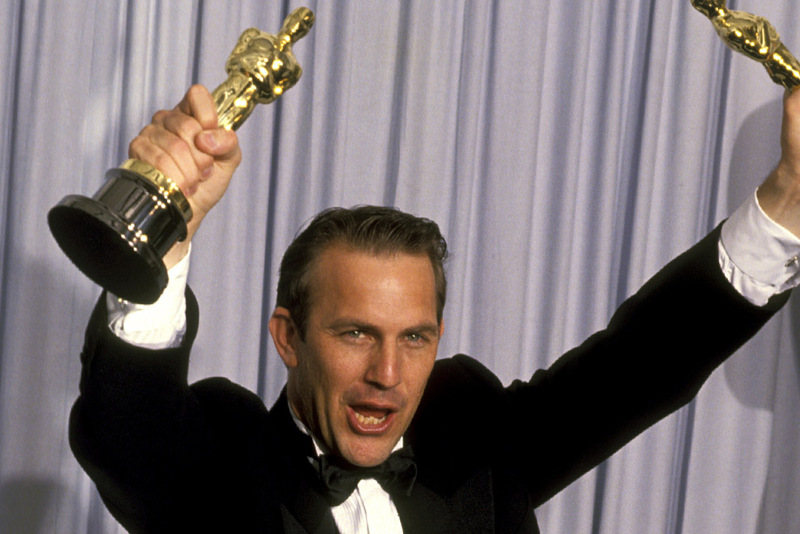 Kevin Costner won Best Director, upsetting Scorcese, who would have to wait 16 more years to finally give his speech. Overall, Dances With Wolves won seven Oscars, including Best Writing, Best Original Score, and Best Picture. If you’ve never heard of the movie How Green is my Valley, you’re not alone. 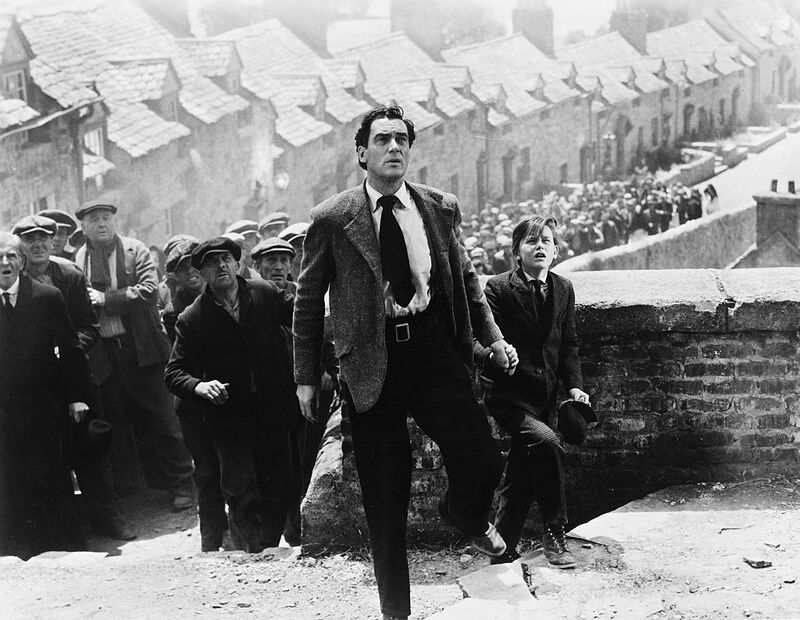 The 1941 film is about a Welsh family dealing life as coalminers in the South Wales Valleys. Going head to head with Citizen Kane at the Oscars, the John Ford directed movie prevailed. At the time, the victory wasn’t considered a major upset. Citizen Kane was inspired by the life of William Randolph Hearst, which didn’t do Orson Welles many favors when it came to awards time. Still, we find it odd that Citizen Kane, one of the greatest films of all-time, failed to win the biggest prize of the year. 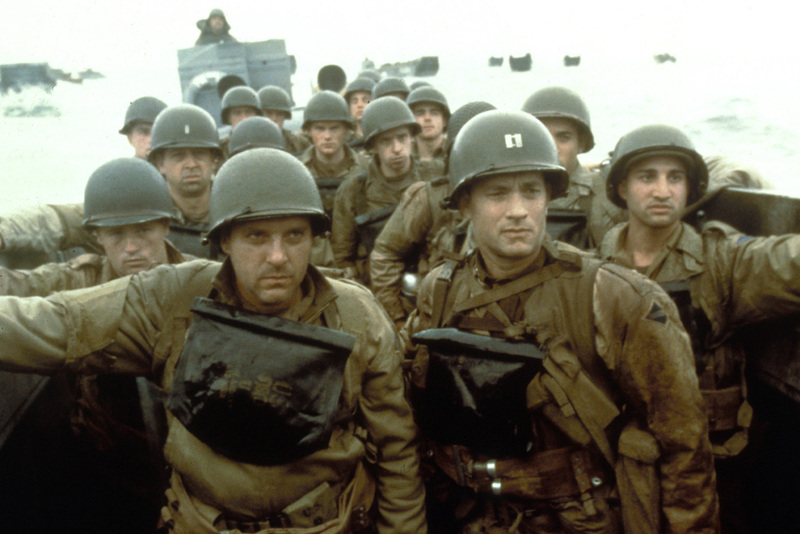 Saving Private Ryan felt like the de facto Best Picture-winning movie in 1999. Not only was it one of the biggest hits of the year, but it was also directed by Steven Spielberg and critically hailed as a monument in filmmaking. 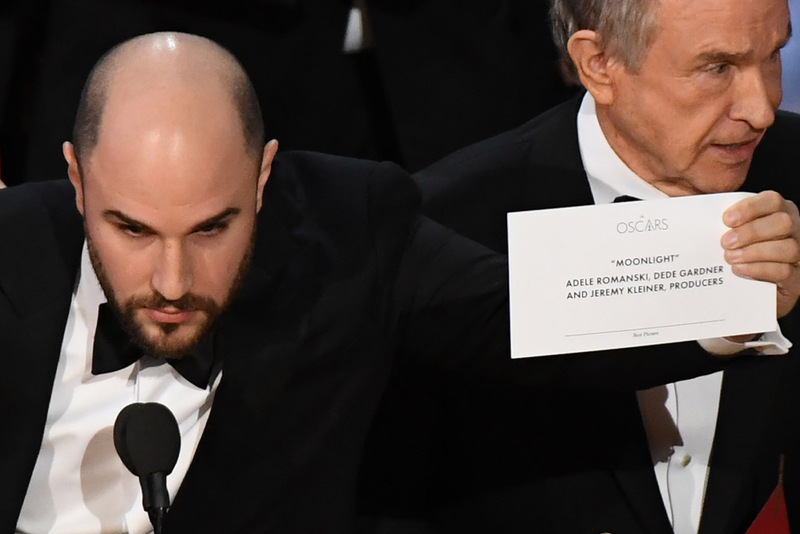 Fans were left stunned when the Best Picture envelope was opened at the Oscars. Shakespeare in Love was announced as the winner, giving the fictional period piece its seventh win of the night. In contrast, Saving Private Ryan managed five wins, including Best Director for Spielberg, but pundits will always believe it should have won the night’s final award. Next, the story of how Crash ended the 2006 Oscars with a bang! 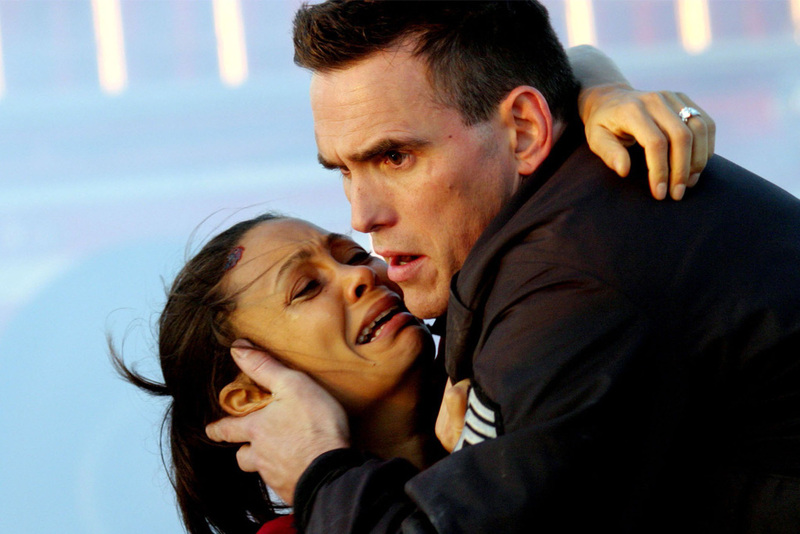 The movie Crash was seen as socially and culturally relevant went it was released in 2005. After it won the Oscar for Best Picture in 2006, however, the praise for the Paul Haggis movie turned into backlash. Against all odds it beat Brokeback Mountain for the award and paid the price in the public eye. Brokeback Mountain, the groundbreaking LGBTQ film directed by Ang Lee was seen as the Best Picture favorite when the night began in 2006. Slowly but surely, momentum shifted until the final envelope was opened, giving Paul Haggis’ movie about race relations an undeserved bad name. 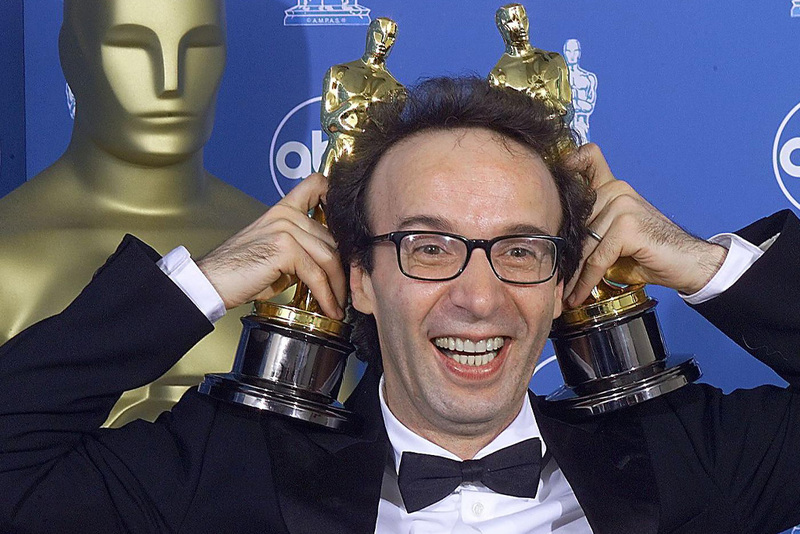 Roberto Benigni was up against stiff competition for the Best Actor Oscar in 1999. Not only was he facing off with Tom Hanks for Saving Private Ryan, but he was also up against Edward Norton (American History X), and Ian McKellen (Gods and Monsters). Benigni was shocked when he heard his name called and reacted by running over the backs of the theaters chairs to the stage. The show of emotion was a bright spot on the evening full of upsets, including the aforementioned Shakespeare in Love. In 2006, the Best Original Song Oscar didn’t go to the predictable choice. Dolly Parton was supposed to win for her song “Travelin’ Thru” from Transamerica. Parton walked away empty handed, though, and Three 6 Mafia was given the Oscar for “It’s Hard Out Here for a Pimp” from Hustle and Flow. 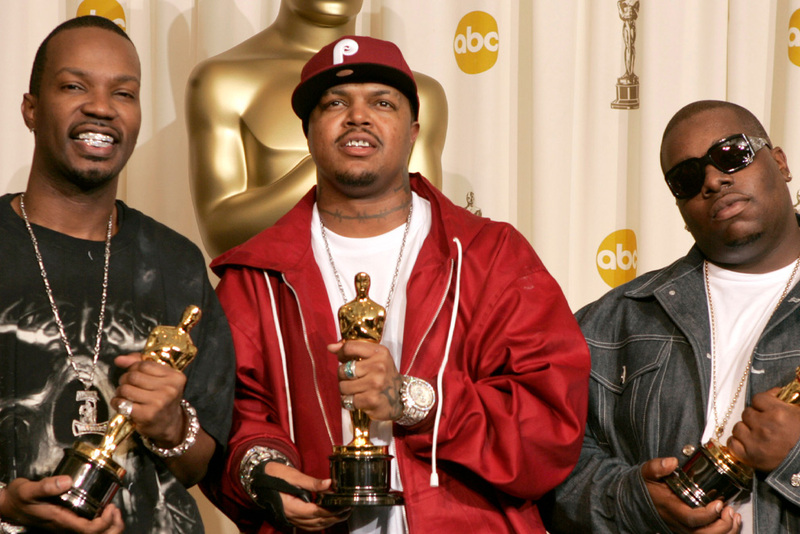 The rap group became the first ever to win an Academy Award, and they partied like it. It was the second rap song to ever win the Oscar, following in the footsteps of “Lose Yourself” by Eminem. 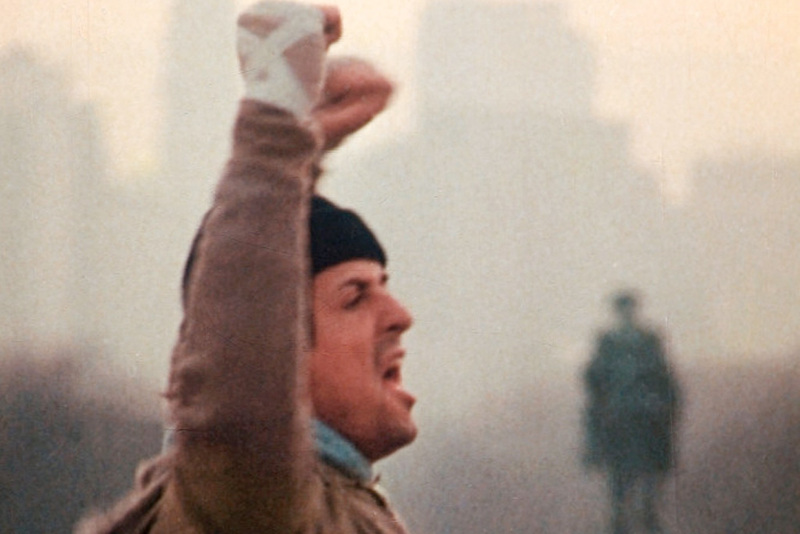 On the next slide, get your blood pumping with Rocky’s incredible Oscar upset! Rocky was a true underdog in 1977, going to battle against Taxi Driver, Bound For Glory, Network,and All The President’s Men. If it had one thing going for it, the Sylvester Stallone driven movie was the crowd favorite. Rocky shocked the movie world by winning that night. John Avildsen won Best Director for bringing the tale of Philadelphia’s biggest underdog to the big screen, too. The Rocky franchise nearly found paydirt again in 2016 with Creed, a spin-off following the son of Adonis Creed. Beatrice Straight spent five minutes on screen in Network. In those five minutes she left an indelible mark on Academy voters, who decided to give her the Best Supporting Actress Oscar. The film’s leading lady, Faye Dunaway, took home the trophy for Best Actress. To this day, Straight’s record still stands. No actor or actress has ever had less screen time and won one of the industry’s biggest honors. The record for shortest performance to ever be nominated for an Oscar belongs to Hermione Baddeley and her two minutes in Room At The Top. Marissa Tomei was an up and coming star in Hollywood when she received the biggest boost possible in 1993. The young actress was awarded Best Supporting Actress at the Oscars for her wise cracking role in My Cousin Vinny. It was the film’s only nomination and only win. Since then, Tomei has been nominated for two more Oscars. One in 2002 for In The Bedroom and another in 2009 for The Wrestler. She lost both times. 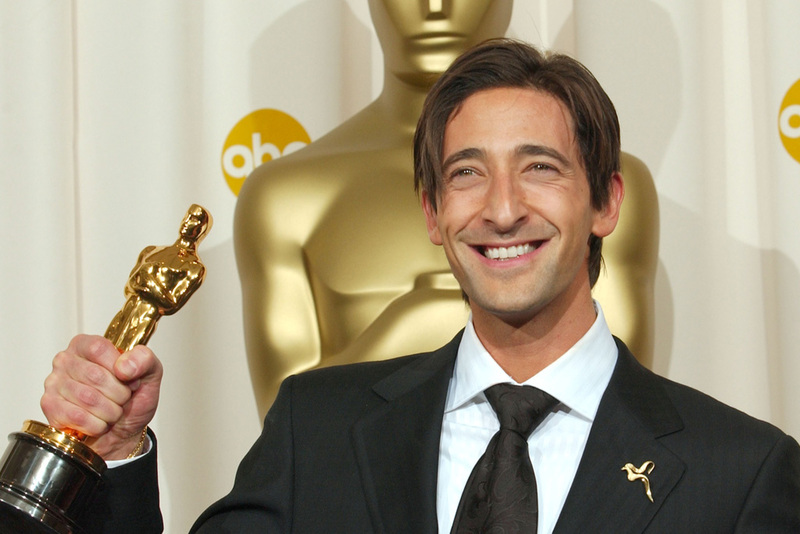 Adrien Brody didn’t win his Oscar for kissing Halle Berry. He was just so taken aback in 2003 when he won for The Pianist, that when he made it to the stage, he kissed his award presenter. He has not been nominated again. To take home the golden statuette, Brody out acted four Hollywood legends; Michael Caine, Jack Nicholson, Daniel Day-Lewis, and Nicolas Cage. Brody was the only actor of the group to have never won an Oscar at the time. Coming up, can you remember what director out danced Coppola in 1973? The 1973 Academy Awards were full of variety. The evening’s two big contenders were The Godfather and Cabaret; two movies that could not have been any more different. The Godfather predictably won best picture, but Cabaret’s director had a few tricks up his sleeve. 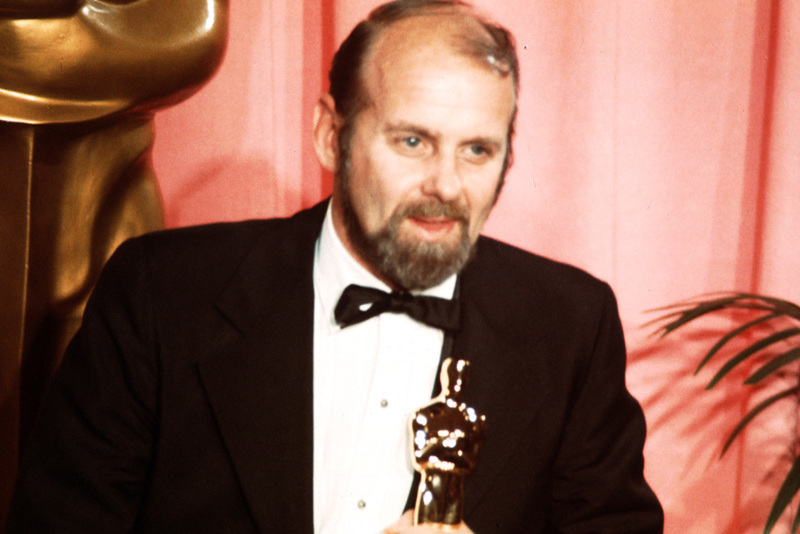 When the Oscar was announced for Best Director, Bob Fosse was called to the stage, beating Francis Ford Coppola. 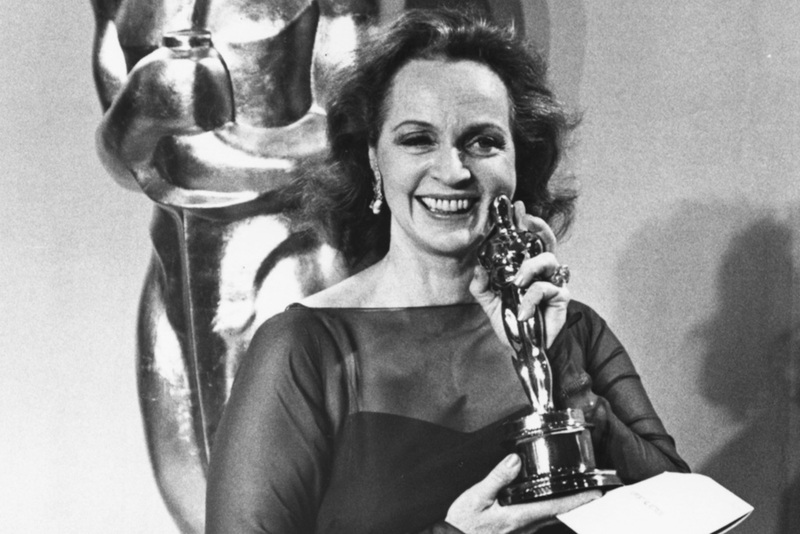 By the end of the evening, Cabaret took home eight Oscars. The Godfather, despite 11 nominations, only took home three. 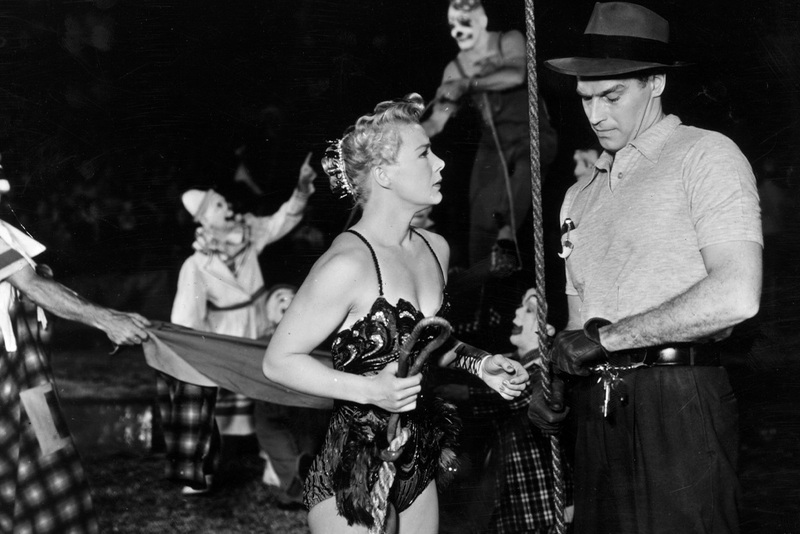 The Wetsern was king in the 1950s, and High Noon was looking to stake its place as the best of the best in 1953 when it was nominated for Best Picture. The Greatest Show on Earth played spoiler, though, winning the Oscar. The Cecil B. DeMille movie also won best writing, proving it really was a “great show,” although just how great is still up for debate. High Noon didn’t walk away empty handed, though. Gary Cooper won Best Actor for his performance. 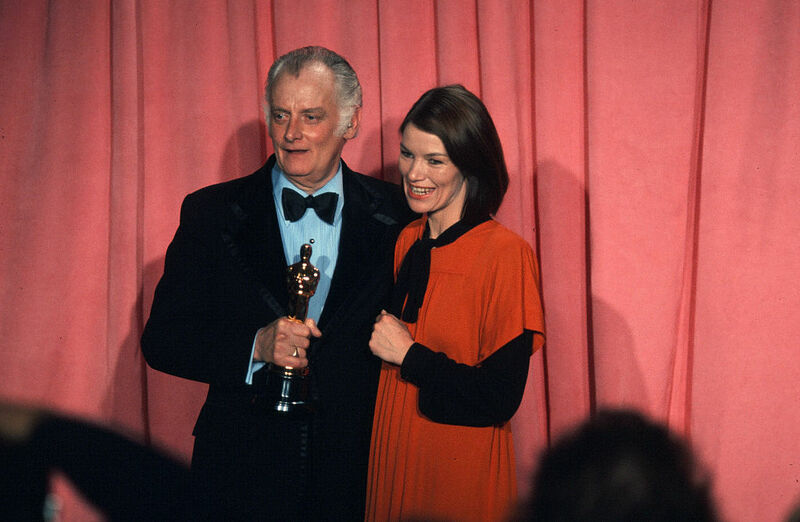 In 1975, Art Carney won Best Actor at the Academy Awards for Harry and Tonto. It was his first nomination after decades in the industry. To win the Oscar, voters chose his performance over several iconic performances like Jack Nicholson in Chinatown and Al Pacino in The Godfather Part II. Carney started his career in Hollywood in 1941. It took 34 years for him to earn a nomination. Known to be a nostalgic industry, some have theorized that his performance didn’t deserve the Oscar, but his overall career did. Ahead, Precious proves that sometimes the right movie wins. 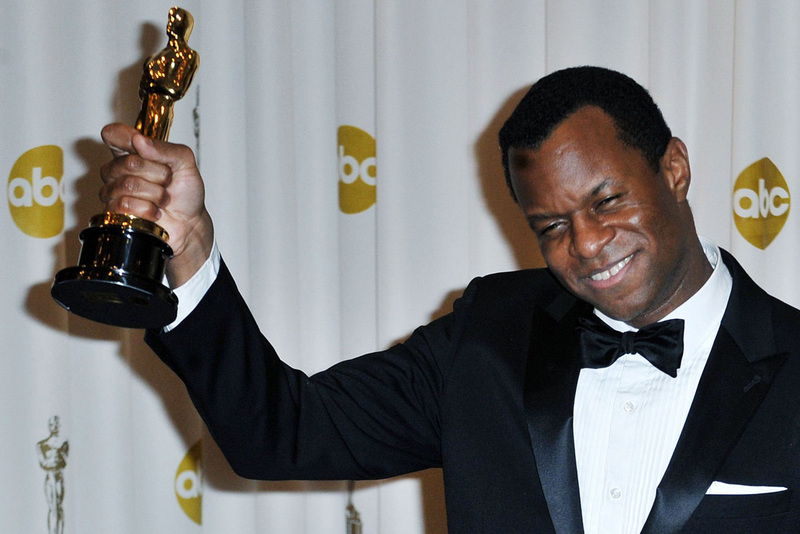 Any writer could have won the best adapted screenplay Oscar in 2010. It was a close group featuring Geoffrey Fletcher (Precious), Neill Blomkamp (District 9), Armando Iannucci (In The Loop), and Jason Reitman (Up In The Air). Of the bunch, Fletcher was considered least likely to win. It wasn’t an upset for the ages, but the win for Fletcher was still surprising. Since then, he has written two more screenplays that have been made into movies. Trial by Fire came out in 2018 and was directed by fellow Oscar winner Edward Zwick. 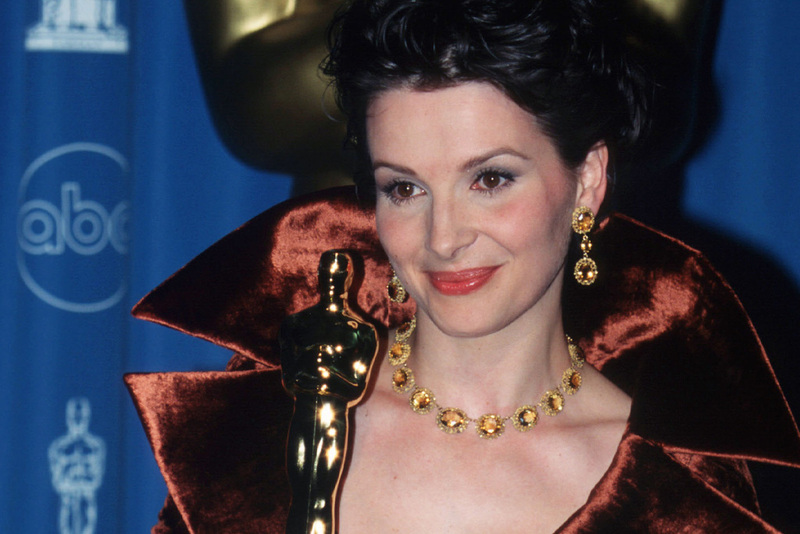 Juliette Binoche might wish she never won the Oscar for The English Patient in 1997 after beating Lauren Bacall. Bacall was riding high for her role in The Mirror Has Two Faces and was devastated when Binoche won the Oscar. In her autobiography, Bacall even admitted how much she wanted the Oscar. Instead of congratulating Binoche on the win, the actress blamed the studio behind The English Patient for their overly aggressive awards campaign. She was never nominated for another Oscar before passing away in 2014. Judy Garland had her best chance at Oscar glory in 1955 when she was nominated for her performance in A Star Is Born. She lost in one of the Academy’s most confusing decisions. 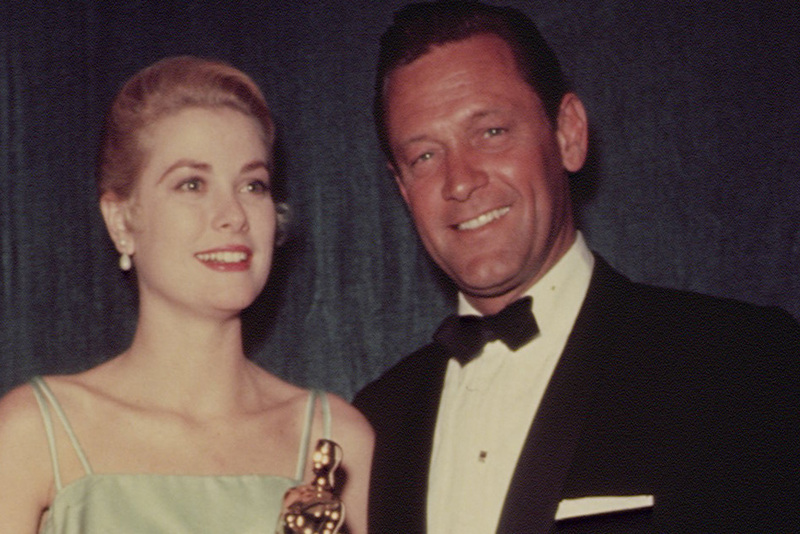 Grace Kelly won for The Country Girl, playing the wife of an alcoholic actor. Garland earned another Oscar nomination in 1962, but again would find herself on the wrong side of destiny, losing to Rita Moreno. Moreno was a sure thing that year thanks to her genre changing performance in West Side Story. 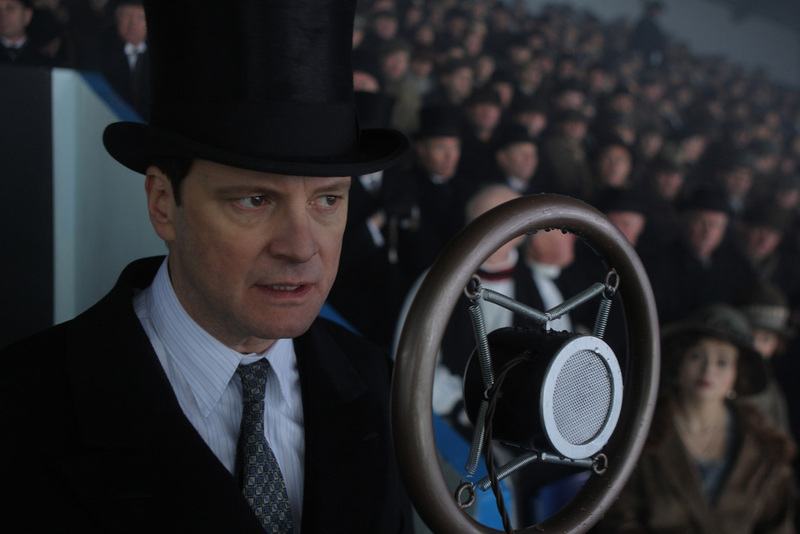 The King’s Speech was the perfect film for the Oscars, so it shouldn’t have been a surprise it won in 2011. Somehow, in a year filled with The Social Network, Black Swan, and 127 Hours, something felt different. One of those grittier films was bound to win, right? Never underestimate the power of an uplifting movie that takes place during wartime. The King’s Speech was nominated for 12 Oscars, winning the aforementioned Best Picture award as well as Best Actor and Best Original Screenplay. Audiences today might know Anna Paquin best from her role on HBO’s True Blood, but ’90s film buffs will never forget when she won her first Oscar. 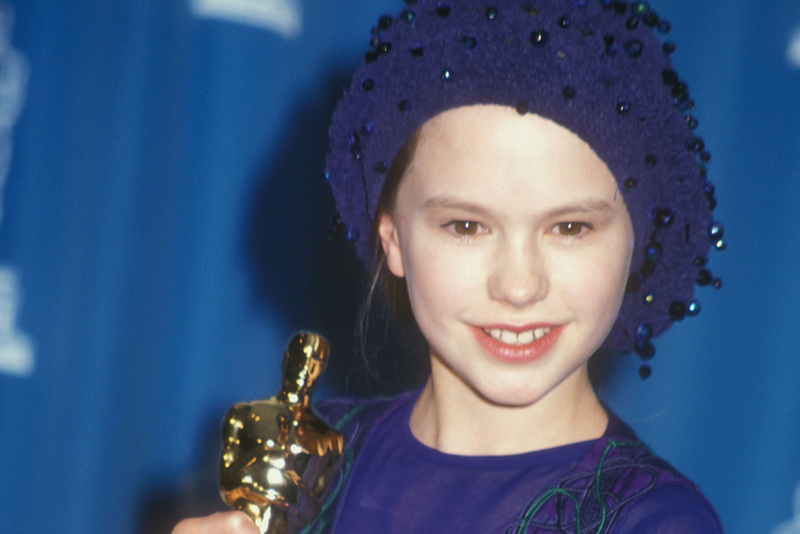 Paquin was 11 years old in 1994 when she won for her incredible performance in The Piano. The film and Oscar win that came with it rocketed the very young actress to stardom. She became the second youngest actress to ever win an Academy Award. Tatum O’Neal was 10 years old when she won her statuette for Paper Moon in 1974.